Humans (at least us reasonable ones) crave reasons: "Why did the chicken cross the road? Why is the sky blue? Why is there air?." Why do I have to go to bed at eight o'clock? Because I gave birth to you. The "whys" of the unlimited are hard to grasp for us endlessly questioning types. This is because the absolute truth--although He contains all logic--is also beyond all logic. Lord Brahma, the exceedingly well-informed engineer of universal creation, once tried (unsuccessfully) to figure out supreme reality by himself. Finally, he was able to understand Krishna as "sarva karana karanam" ("the cause of all causes"). In other words, the buck actually stops somewhere. That "somewhere" is Krishna's desire. 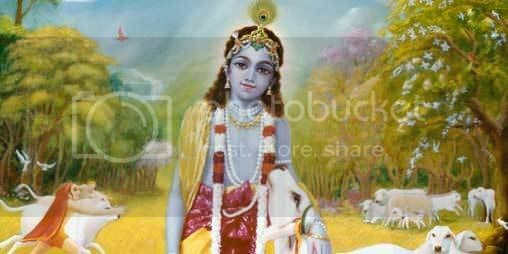 But why does Krishna come to this planet? Because He wants to. Why does He want to? What does He have to gain from coming here?